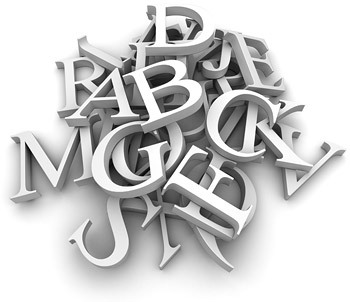 This section contains more information about fonts, more specifically about the technical aspects of typefaces and their use in prepress and printed publications. Learn about the different font formats, what weird characters such as # are called or dive into the history of font formatsormats. This section contains short descriptions of 30 interesting fonts, including examples of what they look like, their history and recommended usage. Next to my own list there is also an overview of what an international jury considered to be the most important typefaces of all time as well as a list of the most hated fonts. The pages on the history of prepress include a ‘font of the year’, starting from 1966. Dafont seems to be a pretty popular site. Lists of the most popular fonts for print and for the web. I quite like ‘The Non-Designer’s Type Book’ by Robin Williams which is a clear and well-written book about typography. I haven’t read ‘Stop Stealing Sheep (and find out how type works)’ by Erik Spiekermann and E.M. Ginger yet, nor ‘About Face: Reviving the Rules of Typography.’ Both frequently are recommended in font-related discussions. ‘Types Best Remembered – Types Best Forgotten’ from Robert Norton is apparently a very funny book. On my iPad, I like the ‘FontBook’ app, which shows off the typefaces that FontShop offers. 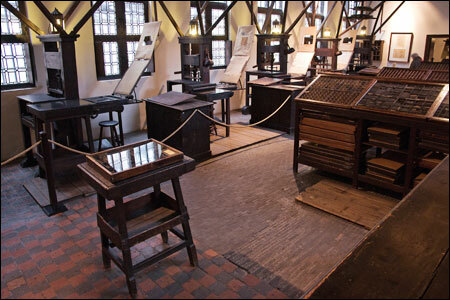 Allow me to be a bit of a chauvinist: the most beautiful museum there is about typography, bookbinding and printing is the Plantin-Moretus museum in Antwerp, Belgium. It is only a short tram ride from where I live. I’ve also created a page about the Tsgrooten Antiphonary, a Flemish liturgical song book from the 16th century. Yes, they are but I am having trouble finding any willing to work for a share of what visitors pays for reading my content. Don’t forget about Simon Garfield’s wonderful “Just My Type”, an in-depth and entertaining history of typefaces and their uses.